One thing is certain: life changes. If you’ve been through a divorce or child custody battle at some point, then at some point you’ve probably wondered if it’s worth trying to modify child support obligations. Whether you are receiving support or paying it, this questions comes up a lot. In general, people struggle to know when it’s appropriate to seek modification of a support order. How Do Maryland Courts Determine Child Support? In Maryland, judges do not just arbitrarily decide how much support one parent must pay to the other. This determination is largely decided by statute. Under Section 12-204 of the Maryland Family Code, the statutory obligations are set forth based on number of children and adjusted income. You can easily go to the statute and get a rough idea how much should be paid. However, keep in mind that there are other considerations that can affect support calculations. When is it Reasonable to Seek a Change in Support Payments? Maryland law again sets forth how and when a person may ask a court to modify support obligations. When Will a Judge Likely Deny a Request for Modification? Judges are usually pretty reasonable when it comes to modifying support. However, your chances are usually better if you are advised by an experienced child support attorney. An attorney can help to make sure that you present your request in the proper format, focusing on statutory factors and calculations. 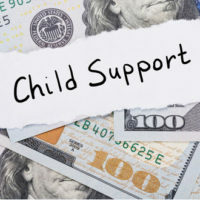 One of the biggest reasons judges deny petitions for modification of child support is that those seeking modification often base their requests on personal difficulties, rather than legally recognizable claims. In situations like these, judges generally will deny modification requests outright. At the Law Offices of Todd K. Mohink, P.A. in Maryland, we are committed to advising and counseling clients through difficult situations, such as support modifications and custody disputes. There are often complex exemptions and exceptions that apply when calculating the appropriate amount of support. Call or visit online to meet with attorney Todd K. Mohink today for more help with your child support case.